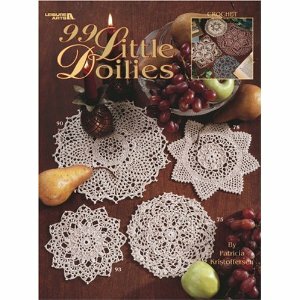 I just received my copy of 99 Little Doilies By Patricia Kristoffersen, and I’m positively in awe of all the cute designs! This paperback book has 144 pages of patterns, color photos, and illustrations with comprehensive instructions for various unique stitch techniques, including: working in front, around or behind a stitch, free loops, working in center 3 loops of a stitch, working in 2 legs of a stitch. 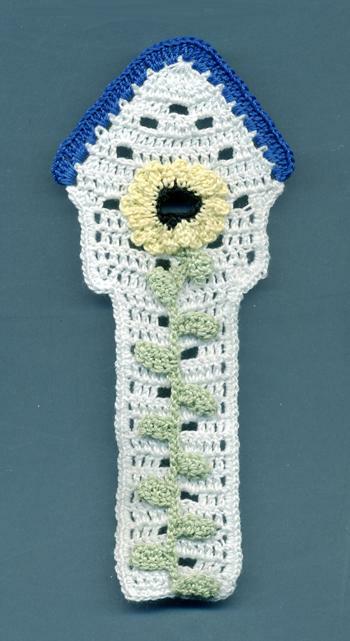 Someone who I once considered my best friend-no, my Mentor, once told me I should stick to crochet, in lieu of knitting. I wanted to expand my crafting talents and have had a long-time love of all things knit. In retrospect, I have spent probably a little more time than I should have, contemplating her statement and consequent decision to cut our friendship short, wondering why things happened as they did. I cannot come up with a single reason…so, no, I will keep knitting and learning new things, I enjoy it too much. But I will keep crocheting gifts, even though some of those things may hold some sad memories within their intricate knots. We took a drive to the Spring for water today. It was a crisp, sunny 59 F at 5:30 pm, the sun low in the sky, nearly blinded DH. We saw one Whitetail rump disappear into the woods, jsut as we were driving out of the Kettle Moraine area, on our way home. The woods always remind me of childhood memories of Placer County, CA. The twisty windy tree-lined roads, the deep woods just beyond, the pine needles on the forest floor, whisper of secrets along darkening paths. It’s Friday, Taco Night! I’m hungry, so I’ll scoot outta here and come back later with pictures of mine and DH’s Riders Edge experiences~you don’t want to miss it!